Most reviews are about E100 MK1, currently not available anymore. 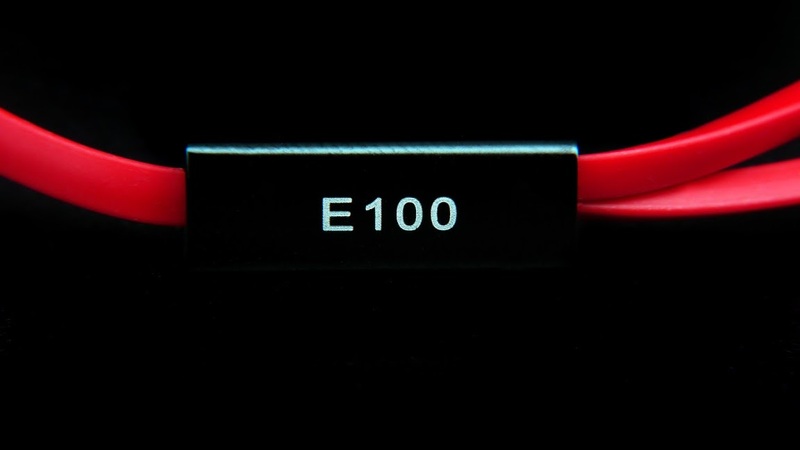 All E100 and E100A sold after mid-2015 are MK2 and MK3 (which sound vastly different)- however they are not marked as such. An excellent earbud with balanced sound. Looks great, sounds even better. Sweet, non-fatiguing sound. Poor value proposition even at their price, little difference from DAP pack-in buds from a decade ago. Awful ergonomics, poor engineering evident when pressure on the baffle presses against the diaphragm. Bad sound: sibilant, the characteristically limited bandwidth of earbuds, annoying even for spoken voice material. Use the money to buy yourself a burger, much better value proposition in terms of pleasure and long-term satisfaction. There's an extremely vibrant, rich sound that they produce. It sounds far better than any other earbud I've ever used, and better (and equally as spacious/open) than most on-ear open headphones I've used before. Unfortunately the fit is difficult for people with smaller outer ears (me) and while they sound great just sitting there, I need to hold them in place with the speaker directed directly at my eardrum for best sound. It's probably going to sound better and better the bigger the size of your cochlea. I can DEFINITELY hear the potential, and for the cost, you'd be stupid not to try them. This is a wonderful little earbud. Small, yet powerful. Note that the version I received said both Mrice and Baldoor. This is also the version with the microphone and volume control. 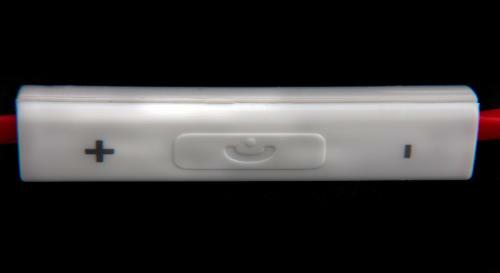 - Built in Microphone: Works wonderfully, callers could hear me clearly and without static. - Adjustable Volume Control. + for louder / - for softer. A cool and useful function. These are one of the smallest earbuds on the market. 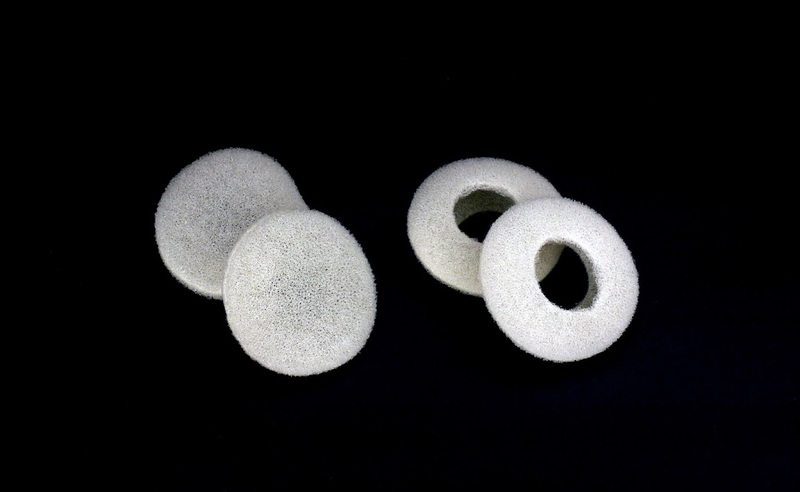 They are shaped like a bell and will fit into any ear canal. Because they are smaller, some might have issues with them not seating well. My advice is to use the provided foam covers for the best fit. The better the seal you get, the better the bass response will be and the overall sound signature. First thing you will notices is the anti tangle trangle shaped cord. This not only looks cool, but is highly functional. The cable itself is made out a tough, yet flexible material that feels good in the hand. The playback controls have a great, solid click to them and never feel flaky. Design is different, yet works just as well. It is a good looking, well built earbud. It has a wonderfully neutral sound signature. Bass- Is not overpowering, instead is controlled and accurate. There is a tiny amount of nice sub-bass, though personally I prefer just a tad more. The nice thing about the E100A is that with either an EQ adjustment or a bass boost click, this little earbuds can throw quite a punch. It is amazing how well they scale up, while still showing no signs of distortion. Mids - Are fantastic. Crystal Clear. Vocals come through loud and clear without any hint of veiling. I would go as far to say the mids are ever so forward, but that is not to be viewed as a shortcoming, but more of a bonus. The mids is where the party is at and the Mrice E100A plays all the hits. The middle is a great place to be. Highs - Can be just the tiniest bit sibilant at higher volumes, but never become tiresome. Highs are well defined and detailed. This is where the E100A really shows what high end sound it is capable of. Soundstage - Don't let the small size fool you. These have a big wide sound. Distance is quite large and allows for great instrument separation without any signs of congestion. Isolation - Typically, earbuds do not isolate too well do to their open housing. 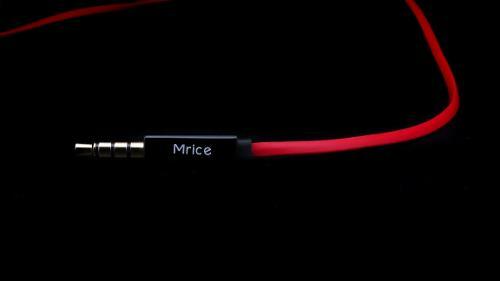 The Mrice E100A different shape allows it to have the best sound blocking of any earbud I have ever tried. This will depend also on how good of a seal you can get. For me, it works great. Nice to wear an earbud that can also isolate me from surrounding noises. The Mrice E100A is one of my favorite earbuds. I love the neutral sound signature, the easy fit and the great playback features. I do wish for just a bit more sub-bass, but as I said, a little can be pushed out with a little EQ tweeking. It is an overall great earbud that is crazy easy to recommend. Totally unrelated to the earbud review, but the seller I bought my Mrice E100A from sent me a nice little ZhongGuoJie as well. @earfonia, I've heard the E300 is just flat out awful from various sources. It is nothing like the E100. Thanks! I should have clicked the E100 Hope to try E100 one day. I bought these a few weeks ago because of all of the great reviews. I am really disapointed. So I am hardly a earphone audiophile but I look for clean natural sound. I like everything from talk radio to bluegrass to old rap to rock and country. My headphone comparisons are my audio-technica ATH-M50, an old pair of sony earbuds, and iphone earbuds. These sound much worse than all of these. I can not get any level of bass out of these. I have tried to cram these into my ears normally, sideways, and backwards. No bass. The iphone ones are thunderous in comparison. Mids. The mids sound really artificial. 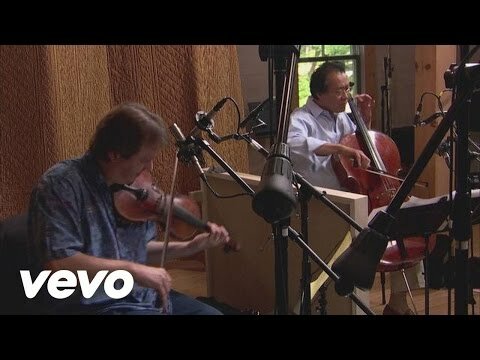 It almost sounds like there is a really bad filter or eq that has been applied to the music. It gives a slightly electronic and unnatural sound to the music or speech. Highs. decent although it is hard to separate this from mid issue that rolls an overdriven tone into the highs. not muddy. Separation. Excellant. I like this in this characteristic in these headphones, every part in a music track sonds very separate. Probabably I am describing this badly. The end effect is that these headphones are actually a little bit annoying for even talk radio because of the lack of low end and artificial tone. Playing music through these is really bad. I was really surprised that these sounded so bad since I have seen so many good reviews. When I unpackaged these I quickly gave them to my wife to try since I was so proud of my research. She quickly gave them back to me saying that they sound horrible. Listening to them I agree with her. 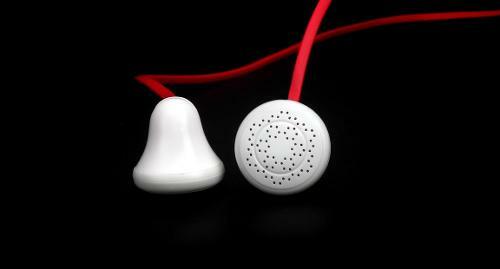 The stock iphone earbuds (old and new style) both sound much better than these. I have the eq on my iphone turned off and even with the bass increased in their stock eqs, I get no bass. First thought is that you might not be using foams. That's exactly how you'd describe an earbud's sound without foams. And it makes fit irrelevant. Also since the iPhone earpods aren't supposed to be used with foams, you might be used to that. If you are using foams, then it sounds like a defective product. then sorry, but try to return it if you can. iphone earbuds bass better, are you kidding? iphone earbud bump the upper bass, no extension to sub bass, boring mid, no sparkle whatever. maybe your problems about e100 are you get the fake copy or since this thing have more impedance, the source is important. much smartphone have weak output so the the driver capability will be limited. as others, i hate the fact this thing is really uncomfortable, but from the sq side, i found your review really misleading, i don't know what is the e100 sound signature, it's not special, but put this on ear for an hours is enough to make my other iem/headphones (soundmagic/audio technica) sound dull after that. Dug my E100s out again after months of forgetting I had them. What wonderful sounding things these little beauties are! Just like the Koss KSC75 and the Fiio X1, the E100 Earbell from Baldoor (and Mrice) represents a phenomenal value. This little $14 wonder has done two things for me: 1. It has renewed my faith in earbuds and 2. Has proven yet again, that top tier sound can be had for bottom tier prices - you just have to be willing to look! If you're interested in a new super-cheap piece of kit for your commute or gym-time, I cannot recommend the E100 enough. Build/Accessories: I feel like I should mention this subcategory since it's usually the worst for cheaper gear... In a word: solid. I've taken these guys running multiple times and from the sturdy cable to the housings, no durability issues to speak of. The cable is supple and tangle-free and the housings/strain relief appear cheap (because they are) but have yet to present any issue. Also, I don't know much about earbud accessories, but you could probably guess that the EarBell's kit is pretty sparse. Two soft sleeves (for comfort or fit improvement?) and a super cheap plastic carry bag. That's it. But for $14, what could we expect?! Bass: What a shock! The problem I've always found with true earbuds (not to be confused with in-ears) is that getting the bass right is tough! But this guy? Full and textured. Even the sub-bass is there! Kick drums in the Supertramp and the Snarky Puppy have both punch and body. Ma's cello sounds nice and natural down low. Even the lilting bass line in Shad's tune is engaging! Treble: Crisp and clean! Don't let their price tag fool you. The upper end is as natural and clear as I've heard in the sub $100 range. This is another place that traditional buds fail. Usually the treble is either artificially bright or nonexistent. Luckily all of the Snarky cymbal intricacies and harmonies in "Hide and Seek" are easily heard and very much in balance with the rest of the spectrum. Loving the fact that this is the case. Conclusion: Overall, the qualm I had with them pales in comparison to the excellent sound the E100 puts out. This is one of those things that anyone with any interest in earbuds should hear. If I could meet the gentleman who tuned these bad boys, I'd certainly shake his hand and buy him a drink. Rich bass, natural mids, and clean treble should cost much more than this, but luckily for us, we can get $100+ sound for under $20! (Not to mention they sound just great out of a normal iPod) If you're in the market for a beater earbud or you want to have excellent sound on the ride to work, I certainly recommend giving the EarBell a go! BloodyPenguin, fnkcow and Toom like this. Imogen rocks _all_ my senses and emotions too. I have an uncompressed version of that song and on these 'phones, wow. Liked mine so much I ordered a pair for the wife. A little uncomfortable for my taste, but sound great. Pros - Price, Triangle cord, Generally good. Just purchased these to see if the review-ratings were any close to reality. I thought it's good to have them with you if you want to occasionally let a friend listen with you via a splitter. But it appears more usefull than just that. It's a long time ago that I owned these type of earbuds. They feel okay, not sticking all up inside your ears like most IE bulb buds. The triangle shaped cord does a good job preventing entanglement issues. I initially plugged them in sub-optimally. And after the comment on my initial review I tried them sideways, and the sound got a lot better. It now has more immersion and bass indeed! The highs are a bit too clear/overwhelming for my taste though. The bass could be just slightly deeper too. Also you dont need a large amplifier for this which can be a plus at certain devices. And price.... they can be disposable. You might not always want to go out with expensive equipment. Try wearing it sideways. It seems funny but it works fine, at least for me and people I know. The bass will be there then. The highs can be reduced by using the small foam covers. Use both for even greater attenuation. Pros - $12 for sound that rivals anything I've ever heard...$1,000+ CIEM's included! Cons - Possible fitting issues. You might receive a different sounding product. Make a long story short I ended up with FIVE pairs of these from the manufacturer that contacted me. Note: These also sell as the Mrice E100. Same exact product just different name. I haven't even burned these in yet and they're the closest sounding anything I've ever heard when it comes to my preferred V-ish sound signature. But more on that in a bit...first let me introduce myself and try to give myself some credibility here! So, who am I to judge sound quality at all? Well, I've been into headphones since I was I was a wee lad and have 16 years of experience when it comes to headphones. Let's see here, my last IEM's in the past year alone include the Dunu DN-1000 and DN-2000, Sony MDR-7550, MDR-EX1000, and XBA-H3, JH16 Pro PF, Senn IE80, T-PEOS Altone200 and H200, Zero Audio Doppio and Tenore...among a few others I'm sure I'm forgetting. Again, that's just what I've gone through the in the past year...this in no way reflects what I've owned over all. In fewer words I'd like to think I know a little about what I'm talking about here. So after everything is said and done I ended up staying with the Dunu DN-1000 as everything about them about matched what I have in mind for my sound sig. Love my bass! Wouldn't consider myself a total "basshead" but I love to have that subwoofer like feel and sound. I do, however, care equally about my mids and highs as well. Smooth mids that render vocals believably with highs that can crash when need be. In other words I love "fun" sound. Bright, impactful, wide sound stage, and just simply puts a smile on my face. Not too hooked on analytics or absolute accuracy but I do care that they sound GOOD...so no Beats here for me. Again, look at what I've owned just more recently. Let me first say that I know for owning very high-end IEM's that it's odd that I might end up sticking with the DN-1000's but honestly they were just the closest I've come to what I want OVERALL. Sure they don't match the JH16's in bass, EX1000's in mids, or the Altones in highs but generally speaking they're fun, bright, etc, etc...look...the E100's out shine the DN-1000's. Period. For the $12 I spend shipped for these Baldoor E100's all I can say is that they are simply amazing. Not simply amazing for the price, mind you, but amazing compared to anything I've ever heard or have owned. Now before I talk about sound I have to point out how I'm wearing these as this is important sound wise. Due to fiddling with them I have found that, with foams added, wearing them sideways with the drivers pointing forward produces the best sound...especially the bass...Holy Hell the BASS!!! *Ahem*...getting a head of myself. So yeah, not straight in as one might expected. It should be noted that wearing them like this greatly enhances the bass but surprisingly leaves the rest of the sound unaffected. Lessens sound stage a bit but it already has plenty to spare. This is how I will be reviewing these. 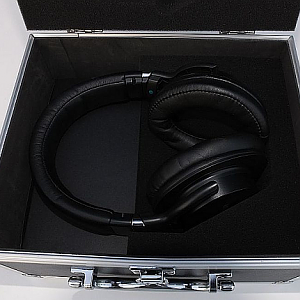 Comes in a cool elongated triangular plastic box with the headphones, a pair of foam covers, a pair of foam covers with the center cut out, and a little warranty slip of paper. That's it. Pretty bare. Pretty dang good! The cable is a triangle shaped cord (hence the packaging) that's supposed to be tangle free (pretty accurate) and easy to use. Seems of decent enough quality to last a while. The Y-split is aluminum covered plastic with no chin slider. 3.5mm plug is gold plated and like wise aluminum covered plastic. The buds themselves seem decent enough...plastic. But well put together. Over all not the most exciting thing in the world but certainly serviceable and doesn't give me that "they'll break in a week" type feel. I'd be careful but not at all worried. Basshead's would be happy. Digs deep. Using this bass test I can hear and feel 10Hz. Smooth like butter and ever impactful the bass is nothing short of astonishing. Even the JH16's pale in comparison...maybe not in quantity (BARELY) but certainly in quality. There is plenty of bass here for any recording. I've got a 10 inch BIC V1020 160 watt subwoofer literally right next to me at my computer desk and even I have found myself, knowing better, taking the buds out because I think this subwoofer somehow magically turned itself on when I'm listening to music. Again, this is with me wearing them sideways...putting them in "normally" and the bass is NOT as nice. Still there but not nearly as loud or full. So this might be taken into consideration and could count against them. However, I have to review these based on how I listen to them and can only hope that they'll fit the same for you (which they should). So bass? Perfect. Awesome. ZERO complaints. Rock, classical, dub step, whatever you listen to will get the fullness, impact, and ear drum shaking sound you'd want...all while remaining tight and in control. Simply put the best bass I've ever heard from an IEM. I would like to say that it's comparable to the Dunu's but with more volume. Certainly out does the Dunu's. Yet again...awesome. Smooth and clear I find myself enjoying every instrument and vocal performance I can get my hands on! Foward but not obtrusive I constantly find myself lost in their liquidness. The Dunu's in comparison sound almost too metallic. It's like, the best way I can describe the mids is that the Dunu's sound too fake...almost as if you can tell one is an armature and one is dynamic. The mids on the E100 feel as though they're part of the entire ensemble and not separate. Certainly has great imagining and separation but just flows. Beautiful is the best word that comes to mind. Crisp and bright while not being over done or fatiguing. There when it needs to be but completely gone when it's not. The treble doesn't bleed over at all, something I notice a lot with many IEM's. Especially with vocals. That's the best I can say really. They're great and engaging all while not being intrusive. If you like your sound to be bright and have that clash when you need it you won't be disappointed in the slightest. As I've said I like bright and fun...these deliver. I see way too many times people saying that this bud or that IEM has great highs but they always end up muddy for me. These don't. I can't speak for everyone but I just don't see how anyone couldn't like the highs here. Very tall but not super wide. Just how I like it. Simply put they sound like a nice pair of open-backed cans. Puts you in the music. Lost. I tell you what! Writing this as I'm listening to them it's like all I want to say is "perfect" and "dreamy". I know it's crazy. I've been listening to these fanatically...just TRYING to find something WRONG with these! Twelve bucks? LOL! GTFO!!! Cheap pieces of garbage............that's what I'd like to say. But I can't. I love these. I have no desire to try anything else. My sixteen year journey...10's of thousands of dollars easily in audio equipment...ended...by a $12 pair of earbuds. Even as I'm writing I can't believe it. I just can't. But it's true. Am I crazy? Maybe. Do I know good sound and do these have good sound? Unequivocally yes. Yes, they do. So much so. Now I can't say that I won't EVER find anything better (still haven't tried the IE800 yet!) but for right now...I'm OK with that. If you have any questions or comments feel free to leave them here or PM me! Thanks for reading and I hope this helps with your purchasing decision, which, for what they cost pretty much anywhere, are 100% worth the try! lennyr, fnkcow and bhazard like this. Well I be damned.... They are better than my Denon C300. The tips that come with them are garbage, once I swapped them with the C300 tips... the sound is amazing. Its crazy how good the bass is. So I read through the Wired review that refers to this review, but really is about the E300... and now I'm intrigued about the E300 but can't seem to find many other reviews for it. Have any of you guys tried both? I prefer the design of the E300 so if the sound actually is on par with the E100 I'd be sold. Wired said that Mrice is a scam of Chintek. Is this true? I would like to buy this, but I am confused on which one is the one with the real good sound and which is not as good sounding. Please give me an amazon link to the correct product AndroidVageta reviewed. Thanks! The new 2014 king of earbud ! Pros - Both sound and build quality. Can compete with full size cans without any problem. Cons - Need to be pointed to ear canal to sound their best. Earphones cames with a nice little box and 2 pair of white foamies (1 pair of donut and 1 pair of classic covered). I’m always using donuts one since it provides some slightly more details in mids/highs. Too bad that Mrice didn’t provided black foaming with it’s black version (or maybe it’s an error), so getting white foaming into black looks a bit strange. Mrice (obsoletely named Baldoor) E100 is the best earbud construction I’ve ever seen so far from these years and blows the competition away, clearly. It has a red triangle cable which looks pretty solid and breath quality. It is soft and have a nice touch feeling. Plug is gold plated and is here also the best I’ve seen so far (also the Y cord plug attachment), looks durable and robust (which is not the case of Dasetn M760) and once again very well finished with it’s glossy black and white marks. Mrice deserve an award for this, the form of a bell (from the name itself of the earbuds) is totally unique and the first of its kind. I guess Mrice has the opportunity to make their own products from A to Z, that’s why they don’t need some already known houses like Dasetn did for M760 house, or Yuin with PK1 house which is very known already also, or Blox TMx also, etc. I found this form of bell to have some pros and cons. Let’s begin with pros, it stays good on your ears (depends of each persons, I guess mine are small) and after some minutes you don’t even feels them, it’s like you ear sound directly without carrying anything, which is very nice. Unfortunately I won’t recommend this earbud for sports activity, you’ll have to replace them correctly for almost every movements. The cons of this earbell form is that they need to be placed to ear canal directly to provide their best sound (bass are huge if you keep taking them with your hands). The main interesting thing of course! I did an almost full week of burning 24/7 with quality pinknoise before concluding the following. It is simply the best sounding earbud I never had until now! When I try back my M760 or PK1, they sound like toys to me! It has the soundstage that I was looking for a while now: not so much (thin) but the right amount (sound almost similar to PK1 but with some more space), unlike M760 which is too much “3D effect” exaggerating. - Bass : impressive, the best I’ve listened. They can reach low like never seen, well controlled, powerful, can be emphasizing but definitely not invasive. Depth is very impressive for an earbud, even with my full size cans I never faced such bass quality! And even my PK1 which was the king for me in this domain, is now totally bypassed by E100. I’am wondering if the bell house form not playing in this favor, but maybe I’am wrong. PK1 bass to be compared can’t reach a low like this, and sound like a bad subwoofer in front of me. - Mids : simply the best mids I’ve listened here also, it will be really appreciated for vocals based music lovers. Vocals can shine like never. Mids are very present, they have the right amount of need. Listening to Amy whinehouse has never been so much a pleasure. Everything looks perfect to me in this domain, it is clear and sharp. At the beginning, right out of the box, I found mids maybe a bit too forwarded but it disappeared slightly with some burning. - Highs : I repeat here also, but the best I’ve ever listened. I watched some videos also with E100 and when small girls shout out, highs can be so hairy but only at the good moment because its like they shout out for real in front of you (very scaring)! 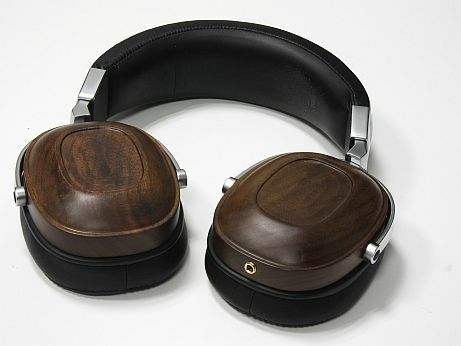 I never faced such sensation in any other ear/headphones until now. Highs are precise, every details can be heard. Overall mids and highs are definitely not fatiguing, which is a very good thing. They absolutely don’t requires any amp (32 ohms) but they shines better amped, like PK1, with some more bass boost (due to ear angle problem), but generally speaking, I guess that every earbuds are shining better with an amp anyway. I found this pair perfect for every kind of music. From classical to electronic, everythig is perfect. I think this Mrice E100 will stay my best pair for a while now. No earbud can compete with this quality (both in term of construction and sound quality). Mrice did a great job for only 19$. 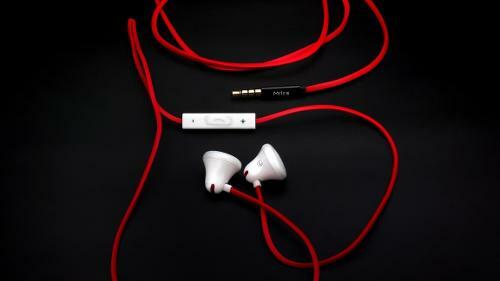 For every earbud lovers, THIS is the pair to have in your collection, and it will clearly be your favorite very soon. ill still get one though, since im very intrigue with the sound on how well you defined them. i want to try and experience it the way you did. anyway, ill also try looking for those two you mentioned. i wonder which among the h180 are you referring to? is it the expensive one in amazon or the cheapest one? where can i buy the blox be3?